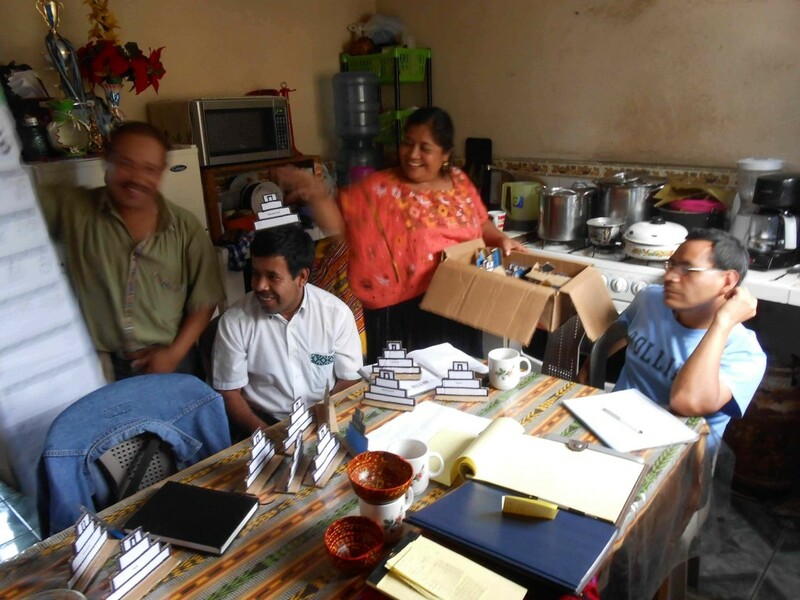 In two previous blogs we have seen the Coban Group in action (Marina Rosales de Caal, Mario Sebastián Caal Jucub, and Yudy Mo’ Isem; January 10 and March 31 of this year). 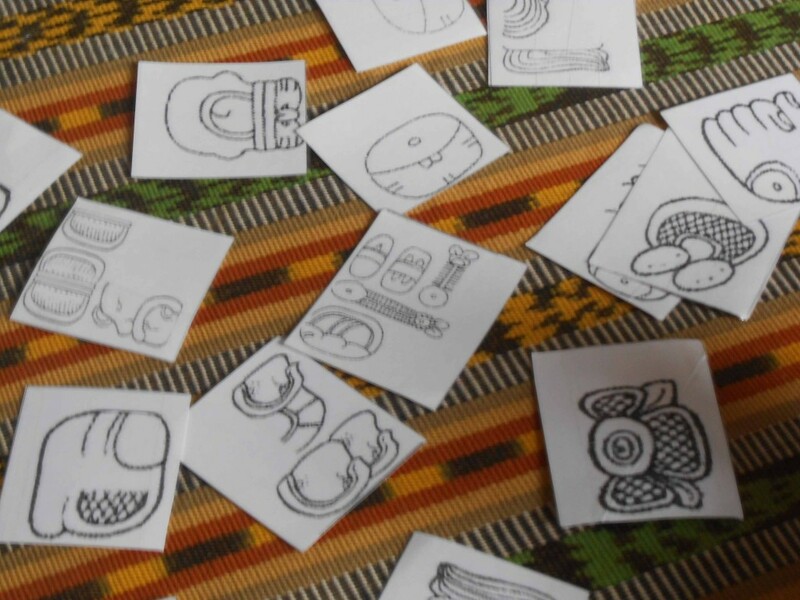 The photos in those two blogs were sent to us by Marina; I had not actually attended those workshops. Therefore it gave me great pleasure to stay at Marina and Mario’s home this year and to meet the players on their own field. 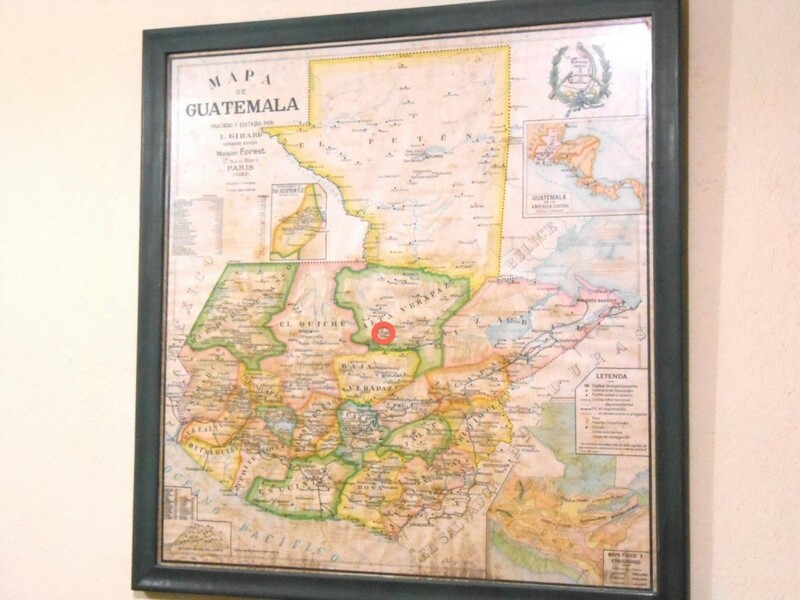 Coban (circled) in the Department of Alta Verapaz. 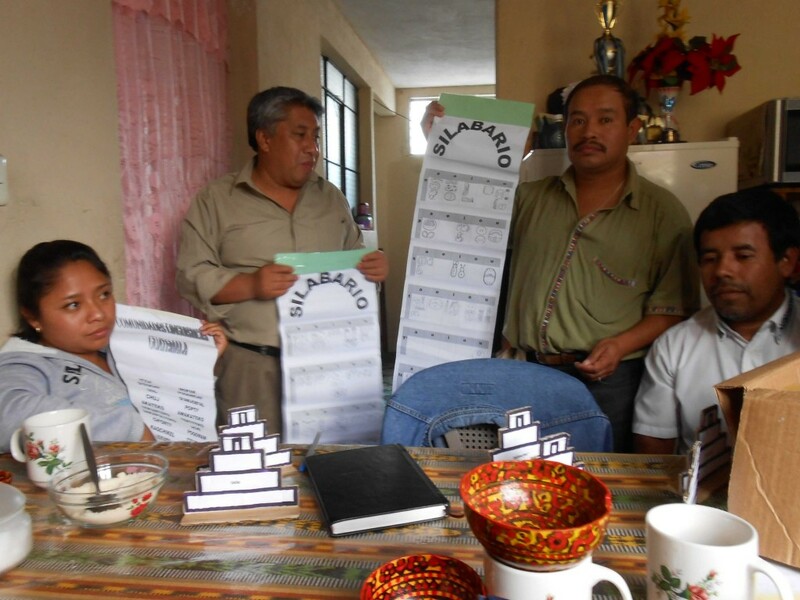 The Coban team has developed its own teaching materials, including this unique presentation of the hieroglyphic syllabary (from left to right: Yudy Mo’, Mario Caal, Augusto Tul Rax, and Leonel Pacay Rax). 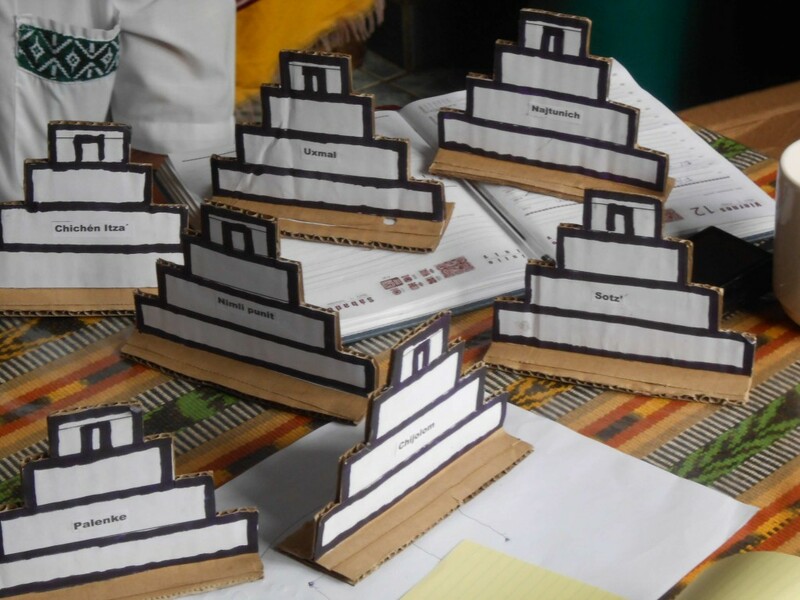 Maya “sacred sites” are used during the geographical orientations in their workshops, as we saw in the March 31 blog. Syllable “flash cards” are used also. I’ll be curious to see how they figure into the workshop programs. The kitchen setting with lots of good food and the playful atmosphere made for an enjoyable “meeting” indeed. Also attending, from nearby Chamelco, was our long-time friend and colleague Sebastián Si’ (right). 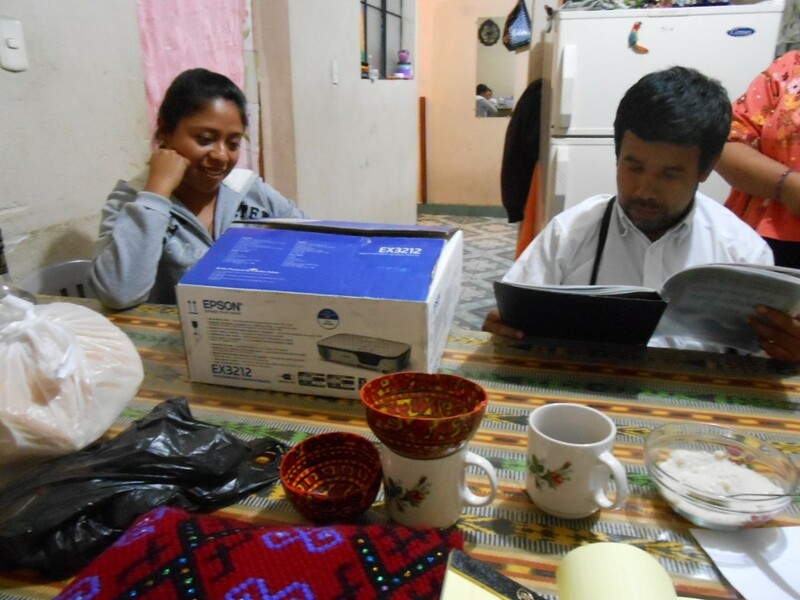 And what a joy to be able to present this group with a brand new Epson digital projector, thanks to you, our donors and supporters.